Kollmorgen has so much confidence in our ability to repair your Kollmorgen Servo Drive that they have made us their only factory-authorized drive repair center for over 10 years running. This authorization extends to all of Kollmorgen/Danaher’s legacy servo drives, including API, IDC, Pacific Scientific and Superior Electric. We are also the authorized repair and support center for the Kollmorgen XT Servo Motor Line, and offer repair service on all Kollmorgen servo motor models. In other words, we know Kollmorgen Servo Drives like no one else. And unlike any other servo drive repair company, we are authorized to say so! 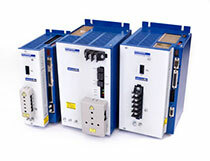 Why You Should Entrust Your Kollmorgen Servo Drive Repair to Us? Our technicians have all the original test fixtures, factory-provided P.C. 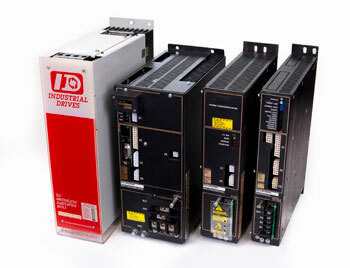 board schematics and test procedures necessary to repair your servo drive quickly and accurately. No one else but MSI has new, factory-supplied circuit boards to offer as a replacement should your current board be unrepairable. Unlike many other repair companies, we handle all of our servo drive repairs in-house, allowing for rapid turnaround times and optimum quality control. Our repair techs have also been factory-trained, allowing us to provide you with product knowledge and repair expertise that comes directly from Kollmorgen. MSI not only provides P.C. board component level repair, but also preventative maintenance and full-function testing for all Kollmorgen servo drives. Should your unit prove to be beyond repair, we have extensive stock of refurbished Kollmorgen Servo drives allowing you to get your operations back up and running seamlessly and right away.